This Friday at Lakeside Speedway marks the annual Kid’s Dash for Cash, in which youngsters 12 and under have a shot at grabbing as much coin as they can during the intermission break when over $2,000 in coins are up for the taking. In addition to the coins, other prizes include Bikes, Hot Wheels, NASCAR die-casts, t-shirts, and candy cups have been generosity donated by Varsity Sports, A&A Granite, Baker’s Recovery and Tow, Tim Powell Roofing, Al's Bar and Grill, Melvin Motorsports, The Twisted Spur, Racinboys.com, Rainbow Roofing, Main Street Auto Body and Tow, Seeburg Muffler, Halos & Hogs, Creative Concrete, Crazy Dave Racing, Linda Howell, Mary Howell Marshall, and Bob Reber. Weekly Racing Series classes will compete with USRA Modifieds, USRA Stock Cars, USRA B-Mods, Grand Nationals, Factory Stocks, and E-Mods, on hand plus this week marks the return of 4-Cylinders. All area four-cylinders are invited to attend, just bring your track rules. Due to the summer heat Lakeside Speedway will continue with the 30-minute later start times until Friday, September 7, 2018. This Friday, Pit Gate Opens at 5:00 p.m., Spectator Gates at 5:30, Drivers Meeting at 7:15, Hot Laps at 7:30, and Racing at 8. For Friday, June 29, General Admission is $12, Senior Citizens (65+) and Military $10, Kids 12 and under are free admission in the grandstands in honor of the Dash-for-Cash. Air-conditioned suite seating is $20 for adults, Pit Passes for Adults are $30, Kids (6 & under) Pit Passes are $10. A look to the championship point standings reveals Shawn Burns maintains his slim lead over Billy Spilman by nine points in the E-Mods with Ben Stockton third. Dominant Marshall Jewett commands the Factory Stock action ahead of Wayne Brooke and Matthew Matsukevich. Kacey Shields has command of the Grand Nationals by seven markers over Don Marrs with Nick Newton third. Tim Powell leads the way in USRA B-Mod action over Brad Smith and Luke Nieman while Kevin Anderson sits atop the standings in USRA Stock Car action over David Oxford and Brett Heeter. Nic Bidinger holds the top spot in USRA Modifieds by five points ahead of Mark Schafman with Kerry Davis third. Find the track online at www.lakesidespeedway.net for schedule info, car rules, regulations, and news. Contact the track at (913) 299-9206. Physical location is 5615 Wolcott Dr., Kansas City, Kansas 66109, one mile west of I-435 (exit 18) on SR 5 (northwest of Kansas City. Like and follow on Facebook at www.facebook.com/lakesidespeedway.kansascity. You may also email the track at lakesidespeedwaykc@gmail.com. 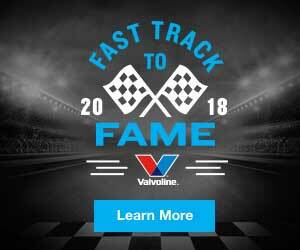 The 2018 Sponsor list includes Valvoline Premium Branded Industrial Lubricants and Automotive Chemicals, Baker's Recovery & Tow, Budweiser, Casey’s General Stores, Central Auto Racing Boosters Hall of Fame and Museum, Central Auto Racing Boosters (C.A.R.B. ), Christy's Tasty Queen, Courtyard, Kansas City Airport, Crystal Trenching, Health & Wellmobile, Johnson County Key Service, Joslin Jewelry, Kaw Valley Companies, Inc., LNF Fencing, Kling Auto & Diesel Repair, Metro Pawn, Mission Painting & Home Improvements, National Sprint Car Hall of Fame & Museum, RockAuto.com, Seeburg Mufflers, Sutera’s Shawnee, Tompkins Industries Inc., Toners Jewelers, Ussery Auto Body, Design Source Flooring and Tile, Kenny’s Tile, Justin Lawson Media, and Victory Trophies & Plaques.